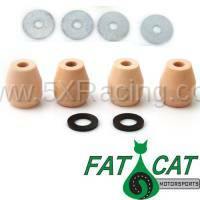 Fat Cat Motorsports is a custom suspension company who specializes in improved bumpstop kits and custom shock revalves, as well as full on custom coilover systems for Miata's and other popular track/auto-x vehicles. 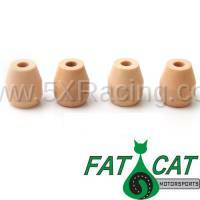 Since 2005 the Fat Cat Motorsports name has grown very popular among Miata racers and autocrossers. Focusing on highly specialized suspension builds, FCM is becoming a leader in the industry and fast drivers are turning to them for results. Launched by an engineer who found the Miata to be a perfect platform for autocross, today FCM supplies a complete line of suspension products from custom re-valved shocks in their coilover kits to re-engineered bump stops. 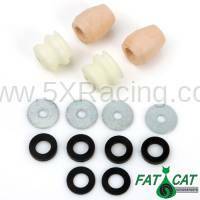 Customers range from national champions to folks simply wanting a better ride, and FCM products have been featured on projects in Grassroots Motorsports magazine and Edmunds’ Inside Line blog.